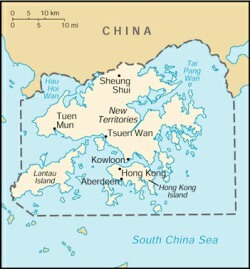 Hong Kong is located in Southeast Asia. It borders the South China Sea and China. Hong Kong is a small country (about 1,000 square kilometers or 390 square miles - the size of Dallas, Texas or about half the size of Sydney, Australia) and is make up of over 200 islands. Some of these islands are tiny and others are very large. Most of the land is hilly or mountainous and there are some lowlands in the South. 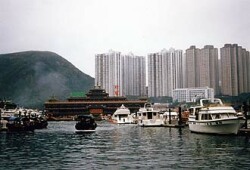 Hong Kong is world famous for its excellent deep-water harbors. Its climate is tropical - cool and humid in winter, rainy and hot in spring and summer, and warm and sunny in the fall. Occasionally Hong Kong is hit by large storms called typhoons. Long ago Hong Kong was part of China but in 1841 the United Kingdom occupied it and in 1842, China gave Hong Kong over to the British. 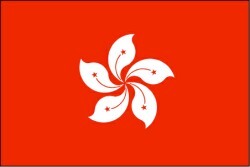 For the next 156 years Hong Kong remained a British colony. 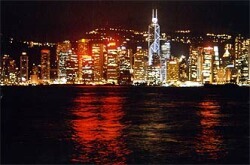 In 1997, Hong Kong was handed back over to China. China agreed that there would be a "one country, two systems" policy. In other words, Hong Kong would be part of China but would mostly be independent of the rules that governed the rest of China. There are over 7,000,000 people who call Hong Kong home. 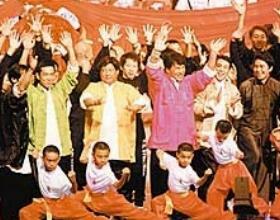 Ninety-five percent of them are Chinese and 5 percent are other nationalities. 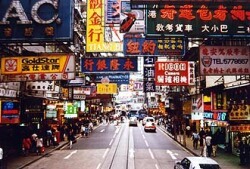 The official languages of Hong Kong are Cantonese and English. The legal system in Hong Kong is based on English common law. 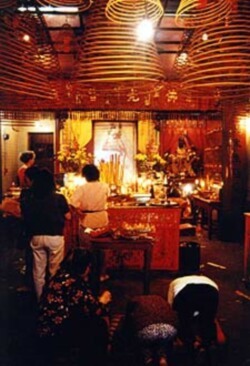 Hong Kong is officially known as the "Hong Kong Special Administrative Region of China." Their Chief-of-State is China's president, Hu Jintao. The economy of Hong Kong is dependent on international trade. 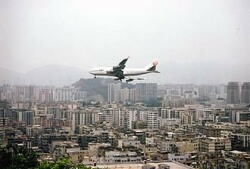 There are few natural resources and Hong Kong must import raw materials and food. 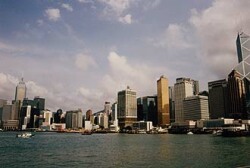 Industries in Hong Kong include clothing, textiles, tourism, electronics, watches and clocks, toys, and plastics. Many of the products that are made in Hong Kong are made from materials that are brought into Hong Kong. The products are then manufactured and then exported again (called re-export). In Hong Kong, the currency (money) used is the Hong Kong dollar. All photos of Hong Kong are © Manfred Leiter / www.tropicalisland.com and are used with permission. 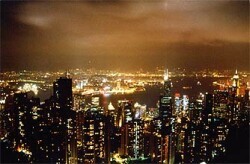 Downtown Hong Kong at night. The red dot shows where Hong Kong is on a world map.